DAZN WILL SHOW THE FIGHT EXCLUSIVELY IN JAPAN, CANADA, USA, GERMANY, AUSTRIA, ITALY AND NON-EXCLUSIVELY IN SWITZERLAND – Saturday, November 10 at 1 PM ET/10AM PT. 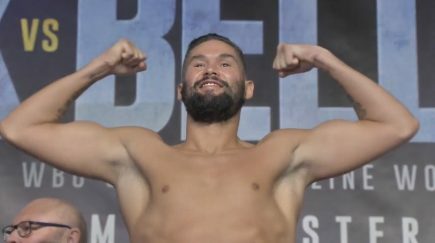 DAZN, the world’s first pure-sport live and on-demand sport streaming service, will exclusively stream the undisputed cruiserweight clash between champion Oleksandr Usyk and former cruiserweight world champion Tony Bellew. 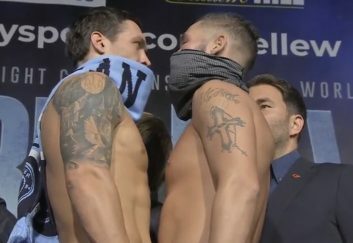 The full card will be live and on-demand for DAZN users in Canada, United States, Germany, Austria, Japan, Switzerland and Italy. 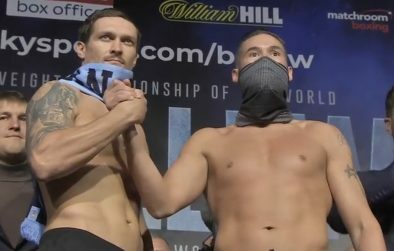 Oleksandr Usyk, the current best active cruiserweight, will face Matchroom boxer Tony Bellew in Manchester on 10th November. Usyk comes into the fight undefeated having unified all cruiserweight belts in July 2018, whilst his opponent Tony Bellew returns to cruiserweight off back-to-back wins against ex-heavyweight world champion David Haye. The stacked undercard includes a WBA World Lightweight Title fight between Anthony Crolla v Daud Yordan and other Matchroom fighters Josh Kelly and David Allen. DAZN is changing the landscape of boxing forever, having recently signed a landmark five-year global partnership with Golden Boy Promotions, to bring Saul “Canelo” Alvarez to the live and on-demand service for his next 11 fights. The deal also sees 12 fight nights annually from Oscar De La Hoya’s Golden Boy Promotions. This comes after another historic $1bn, eight-year joint venture with Eddie Hearn’s Matchroom Boxing to create Matchroom Boxing USA, with DAZN becoming the exclusive U.S. broadcaster for 16 stacked fight nights a year. 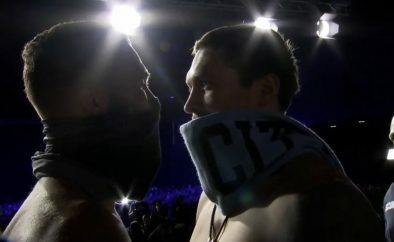 The deals deliver on DAZN’s mission to make boxing accessible and affordable again and reignite the passion of fight sports fans. This will be the 2,025th championship fight sanctioned by the WBC in its 55-year history. 74 cruiserweight world championship bouts have been held in the history of the WBC. 21 world champions have been recognized by the WBC, of whom only two have regained the title: Carlos de Leon (Puerto Rico) three times, Jean Marc Mormeck (France) one time.